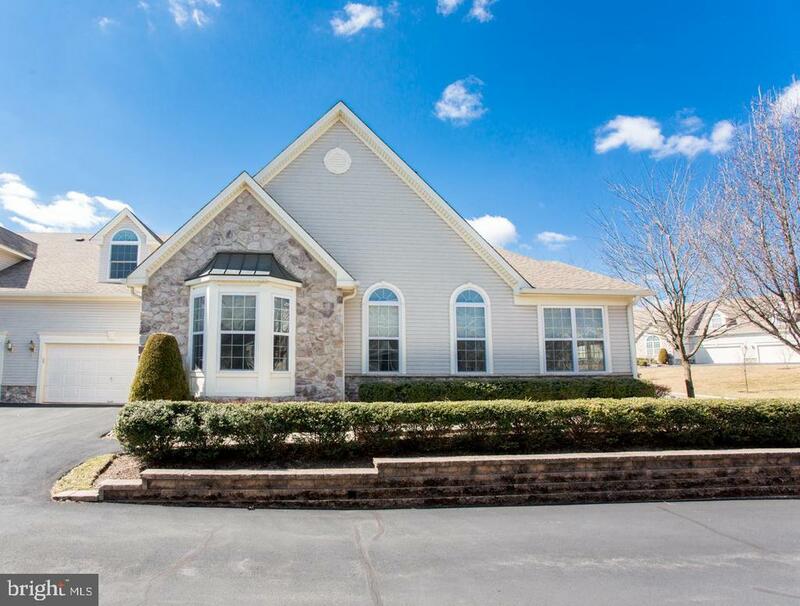 All Warminster homes currently listed for sale in Warminster as of 04/21/2019 are shown below. You can change the search criteria at any time by pressing the 'Change Search' button below. 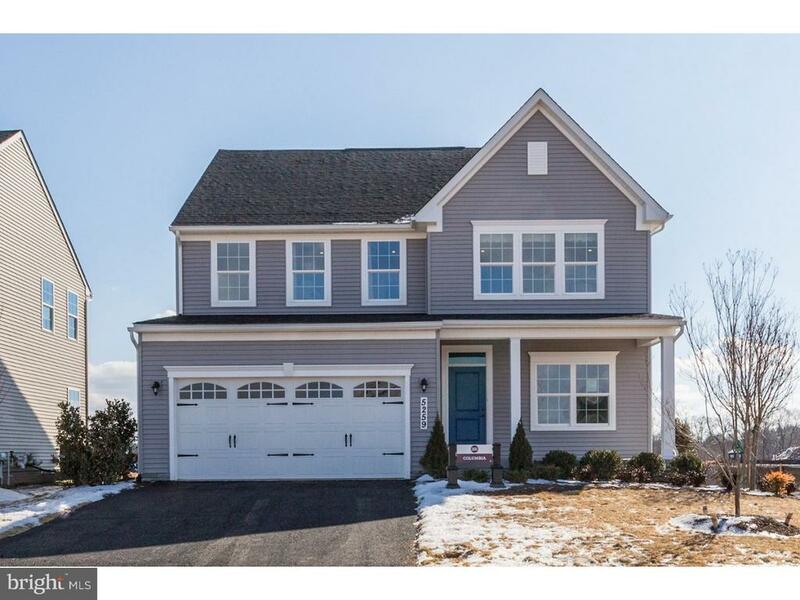 If you have any questions or you would like more information about any Warminster homes for sale or other Warminster real estate, please contact us and one of our knowledgeable Warminster REALTORS® would be pleased to assist you. 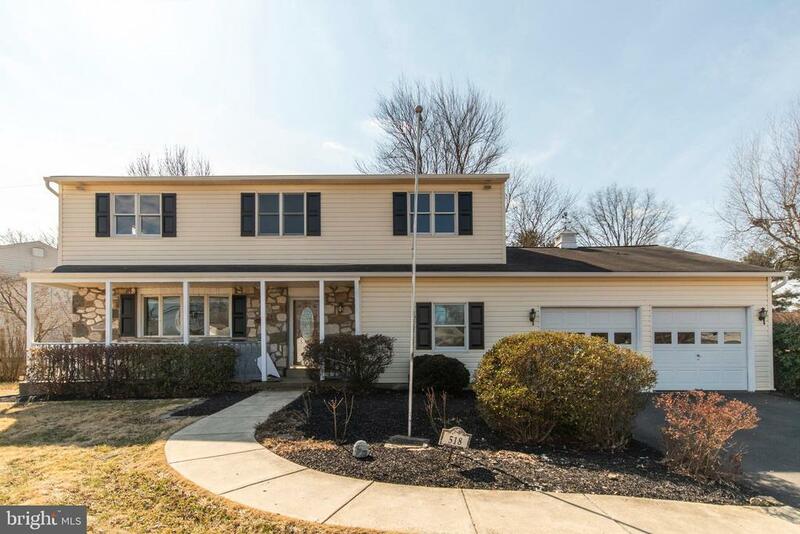 "Once in a lifetime opportunity to buy this Home that was built and decorated with the finest of materials, at no expense spared, to the detail... Conveniently located in the heart of Ivyland, Bucks County with Council Rock Schools. Over 500,000 recently spent in Upgrades Inside and Outside. The property is situated up a own hill location, and stands on acres of professionally designed landscaping with fully matured exotic trees and gardens, as well as an impeccable carpet like green lawn. One of a kind curved driveway to fit over 8 cars, inlaid with stone medallions. Unorthodox 2 car Garage converted into a showroom for a car collector or motorcycle enthusiasts. A Mecca for entertaining guests and friends-- Incredibly inviting heated pool and spa with waterfall, outdoor gazebo, designed stone terraces and walkaway promenades, finished off with a huge fire pit surrounded by stone benches. All rooms are of Great Scale and beautifully appointed, with European solid wood doors and unique multi-leveled ceilings with light illuminations. Entry Foyer and Great room have 20' high ceilings, decorated with designer window treatments and hand-carved antique fireplace. Master Bedroom consists of sitting area with gas fireplace, 4 walk-in closets complete with wardrobe systems, master bathroom with jetted oversized tub, large shower and 2 double size vanities. All bathrooms are specially designed with one of a kind expensive porcelain tiles as well as accessories and fixtures. Light fixtures are just as amazing as all the rest in this Hollywood-Chick house. The second Master Suite is Rock Star Style-- and can be used as a separate entity cool one-bedroom apartment for your in-laws or guests. And then, there is wonderfully secluded and unique, Perfect Man Cave.... Finished Basement with 4 Zone Heated Granite Floors throughout, also equipped with imported directly from Finland Sauna to fit 10 guests, full extra-large Bathroom and second laundry room... Incredible lounge "
"Property consists of 6.5+/- acres with 2 single family dwellings both are 3 bedrooms, 1 1/2 baths and 2 car garages. Country living while minutes from everything. One home can be used as your primary residence and the other as a rental. Ideal for a contractor, landscaper, nursery, daycare, assisted living or home based business.... Too many options to list, schedule your showing today and let your imagination run wild. Public water and sewer is available. Owner is a licensed PA realtor." "Beautiful and MOVE in CONDITION colonial is Ivyland! Enter the front door into an open and flowing floor plan! Kitchen is updated and overlooks a 2 story family room with fireplace. The first floor also offers a spacious dining room, office and bedroom (could easily be used as a formal living room). The second floor can be accessed by the front or back stairs! The second floor offer 3 spacious bedrooms, 2 full baths, loft and an unfinished room that could be easily made into another bedroom! The basement was professionally finished into a recreation room with bar, FULL bathroom and a movie theatre room! Plus, some unfinished areas for plenty of storage. Basement also offers a walk out to the 1.40 acre backyard! Some of the newer features include roof (3 yrs old), propane heat with electric back up, newer deck, neutrally painted throughout and hardwood floors. CURRENT EXTERIOR PHOTOS SHOW STUCCO AS PART OF THE EXTERIOR. THE OWNER IS IN THE PROCESS OF HAVING THE STUCCO PROFESSIONALLY REMEDIATED AND REPLACED WITH VINYL SIDING! The remainder of the exterior will remain as stone! Make your appointment today before it is gone!" "Location, space, design! 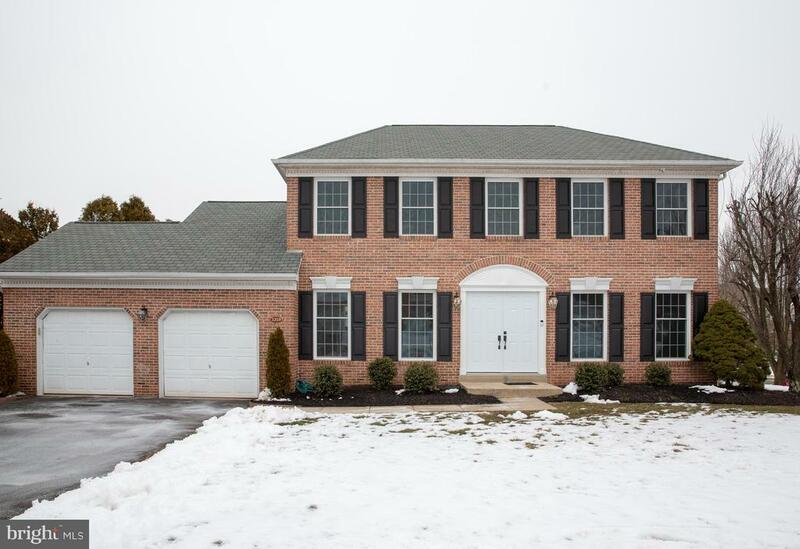 This home in Ivyland has so much to offer! Situated on a quiet cul-de-sac amidst gracious rolling hills and farmland. A unique custom design with open concept and two story foyer, family room and breakfast room to accommodate the walls of windows that allows for the spectacular views of brilliant sunrises and starlit nights. The entrance foyer has marble floors and a beautiful turned staircase. The spacious living room and formal dining room include hardwood flooring and lots of natural light. The wood flooring flows into the fabulous family room which also features a gas fireplace and built-ins and a rear stair case. Off of the family room is a large den which can be used as a 5th bedroom, and access to the main floor full bath. The kitchen includes granite counters, tile back splash, pantry and island, and is open to the two story breakfast room. The master suite has a vaulted ceiling, dressing area, 3 walk-in closets, private den and 4 piece luxury bath. The second floor also features a loft area with built in desks, and the 3 additional bedrooms, all spacious with double closets. The finished lower level is all set for entertaining with a wet bar, TV viewing area and abundant space for recreation. This lovely home offers an abundance of comfortable indoor and outdoor living space and is conveniently located near transportation, Council Rock Schools. Motivated seller!" 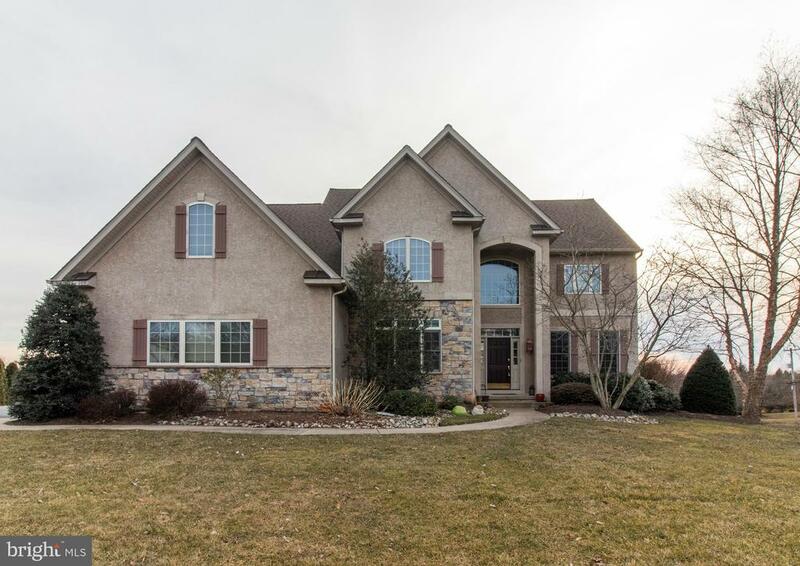 "Spring is Here and so is this Beautiful New Custom Home With Dramatic Open Floor Plan. Welcoming Vaulted Entry with Ornate Leaded Glass Front Door, Sidelites and Over sized Porcelain Tiles. All Attractive Quartz Counter Tops in Kitchen, Bathrooms & Laundry Room. Inviting Gourmet Kitchen with All Stainless Appliances, Very Ample Auto Close Cabinetry, Glass Mosaic Back Splash, 5 Burner Gas Range W/SS Cavaliere Exhaust Hood, Raised L Shaped Counter Top for Additional Seating, 42 Cabinets and French Doors to the Rear Deck. Laundry Room with Lots of Cabinets and Built-In Wet Sink. Powder Room off Laundry Room. First Floor Enhanced with Rich Mahogany Hard Scraped Solid Hardwood Flooring. Stately 2-Way See Thru Gas Fireplace Between the Family Room and Living Room with Handy Remote. All Rooms in the Home Have Multiple Over sized Windows For a Bright and Airy Atmosphere. Coffered Ceilings in Several Rooms Thru Out the Home. Spacious and Stunning Master Bath With Jacuzzi Tub, Walk-In Over Sized Distinctively Tiled Shower with Multiple Shower Heads & Seating. The Upstairs Bedrooms are Richly Carpeted. The Master Bedroom is Large With a Roomy & Ample Walk-In Closet. The Remaining Bedrooms are Good Sizes. The Very Large Basement Has 9 Foot Ceilings, Heating & Cooling Duct work Installed and an Egress in Place for The Ease of Finishing Off the Basement Should the New Owner Desire to Do So. The Near By Park System has a Paved 5 Mile Bike and Running Track, Soccer fields, Tennis Courts, Basketball Courts, Baseball Field, Picnic Areas and Just About Anything You Would Need For Outside Recreation, Exercise and FUN !! Don't Miss this Unique Custom Built Beauty. And Who Knows - Maybe We Could Say: WELCOME HOME"
"At Stone Ridge Estates, you'll find excellent value for brand new homes that are close to everything you need! 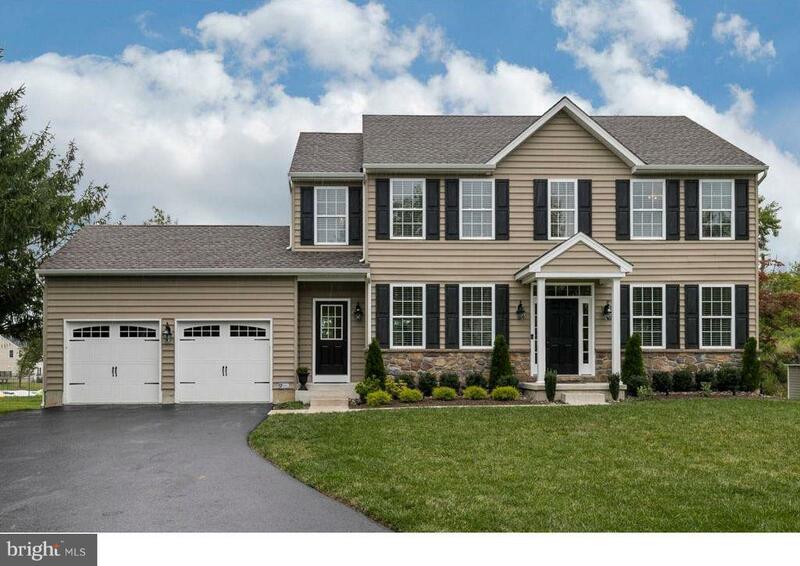 Amazing value for new single-family homes in a convenient Bucks County location near the PA Turnpike, I-95 and Rt. 611. If you want a house that lives like you do, with a flexible floorplan that's open and inviting, functional but never stuffy, then welcome home to the Columbia. The first floor features a flex room you can use as a living room, dining room, or even make it a study with French doors. A lifestyle triangle in the back means your kitchen, dinette and family room flow perfectly whether you're entertaining or just relaxing at home. Upstairs features four large bedrooms, including a grand owner's suite with luxury bath and oversized closet. Or choose a loft for a private, upstairs living room area. 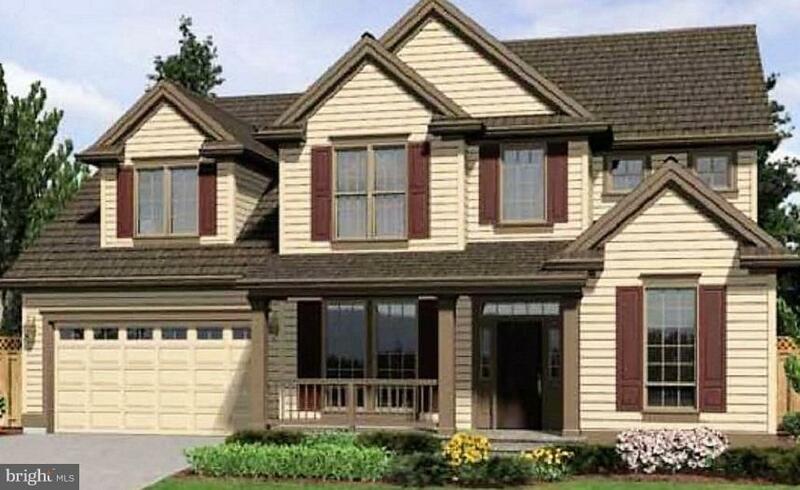 The Columbia comes in a variety of gorgeous facades, all featuring a covered entry. Up to $7500 cash toward closing costs with use of NVR Mortgage!" "Get Ready to Fall in Love with this Brand New 4 R, 2.5 BA Two Story on a Peaceful Tree Lined Street. Imagine Being able to take Advantage of all of the Selections and Upgrades that Local, Well Respected Builder, Shihadeh Custom Homes has to Offer. Right off the Bat You will Enjoy a Maintenance Free Vinyl Exterior, Great Covered Front Porch, Attractive Steel Garage Door, Vinyl Windows and Double Layer Driveway. An Energy Efficient HVAC System, Auto Set Back Thermostat, Excellent Insulation Package Plus Energy Sealant Applied Around All Doors & Windows are Sure to Keep Heating & Cooling Costs to a Minimum. A Dramatic Two Story Foyer Welcomes you to the Main Living Level Which Offers 9 Foot Ceilings and A Stunning Island Kitchen as the Heart of the Home. 42~ Cabinets Accented with Crown Molding, Gleaming Granite Counters, a Wonderful GE Appliance Package & Pantry are Just the Beginning. The Formal DR Boasts an Upgraded Trim Package and H/W Floor and the Great Room has a Cozy Gas Fireplace as it's Focal Point. In Addition a Den, Perfect for an Office, a Laundry Room & Powder Room are Present. Upstairs You~ll Find 4 Nicely Sized Bedrooms all with Generous Closets. The Master BR has Everything that you Deserve~.. a Big WIC and Private Bath with Free Standing Soaking Tub, Separate Shower & Double Vanity. A Great Hall Bath & Linen Closet Complete Level 2. A Two Car Garage with Additional Room (11 X 10) for a Shop or Storage and a Full Basement w/Water/Damp Proofing System are the Icing on the Cake. You Have Finally Found your Perfect Match!" "Your Search is OVER! 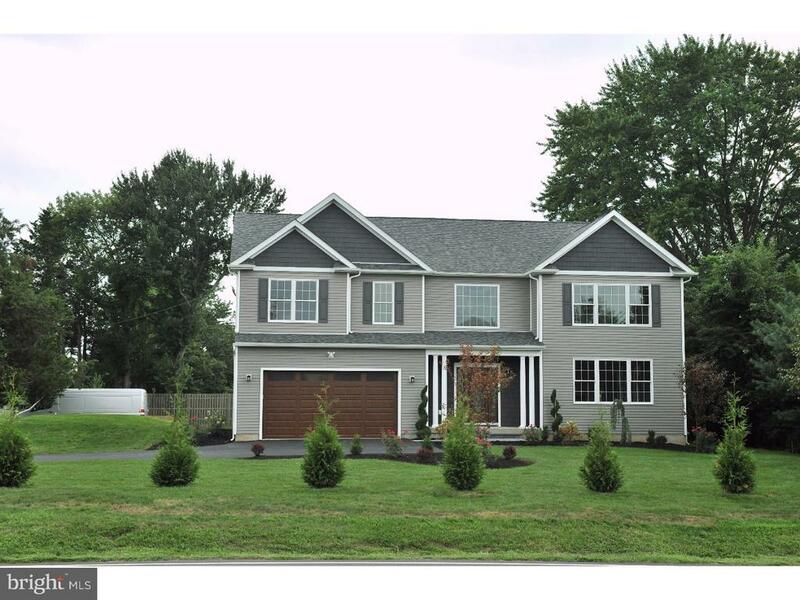 This Brand New 2800 Square Foot 4 BR, 2.5 BA Center Hall Colonial on a Peaceful Tree Lined Street is Sure to Impress. Imagine Being able to take Advantage of all of the Selections and Upgrades that Local, Well Respected Builder, Shihadeh Custom Homes has to Offer. Before you even Walk through the Door you will Enjoy a Maintenance Free Vinyl Exterior, Great Covered Front Porch, Attractive Steel Garage Door, Vinyl Windows & Double Layer Driveway. An Energy Efficient HVAC System, Auto Set Back Thermostat, Excellent Insulation Package Plus Energy Sealant Applied Around All Doors & Windows are Sure to Keep Heating & Cooling Costs to a Minimum. Once Inside, the Open & Airy Main Living Level Featuring 9 Foot Ceilings & a Stunning Island Kitchen with Sunny Morning Room. 42 Cabinets Accented with Crown Molding, Gleaming Granite Counters, a Wonderful GE Appliance Package & Pantry are Just the Beginning. The Formal DR Boasts and Upgraded Trim Package and H/W Floor and the Family Room has a Cozy Gas Fireplace as it's Focal Point. In Addition a Formal LR, Laundry Room, Mud Room & Powder Room are Present to Round out the Main Living Level. Upstairs You Will Find 4 Nicely Sized BR'S all with Generous Closets. The Master BR Suite has Everything that You Deserve....a Big WIC and Private Bath with Free Standing Soaking Tub, Separate Shower & Double Bowl Vanity. A Great Hall Bath Completes Level 2. A Front Entry Two Car Garage and a Full Basement w/Water/Damp Proofing System are the Icing on the Cake. Get Ready to Say SOLD!" "Northampton's best kept secret, the quiet north end of Hatboro road! This great home offers large sun filled rooms and a layout that is ideal for entertaining. The first floor boasts a large living room with bay window, crown molding, and glistening hardwoods. The gourmet kitchen features galley style cooking, custom cabinets and custom tile back splash. Sunlight spills into the expanded kitchen seating area and the feel of luxury abounds. The formal dining room completes this floor with built in cabinets on both sides of the charming window. The second floor hosts the master bedroom and master bath along with two good sized bedrooms all with hardwood flooring and the hall bath. A few more steps up will bring you to a large loft type room with exposed beams and two more bedrooms. The lower level of the home has a large family room with engineered flooring centered on a brick wood burning fireplace. A half bath plus a separate shower is also on this level. Space just abounds in this home, enjoy entertaining in the finished basement complete with pool table and bar area. The rear yard is a like a park, decks provided for seating areas, leaving plenty of space for wiffle ball, bbq's and all kinds of fun!! Public Sewer will be hooked up prior to settlement." "Fully renovated 4 bed 2 and half bath colonial. Double door main entry, hardwood floors, custom trim & millwork. Formal living room with built-in book shelves and cabinetry. Family room with sun soaked bay window, shadow boxing, crown molding and wood burning fireplace Eat-in kitchen with all new stainless appliances, gas cooking, hardwood floors, quartz counter-tops, garden window over the sink, recessed lighting and French doors to the patio. Master bedroom with sumptuous full bath, jacuzzi tub, frameless walk-in shower with rain head, dual sink vanity, large walk in closet and supplementary coat closet. Wonderful level backyard with some mature trees and landscape. This home is meticulous inside and out." 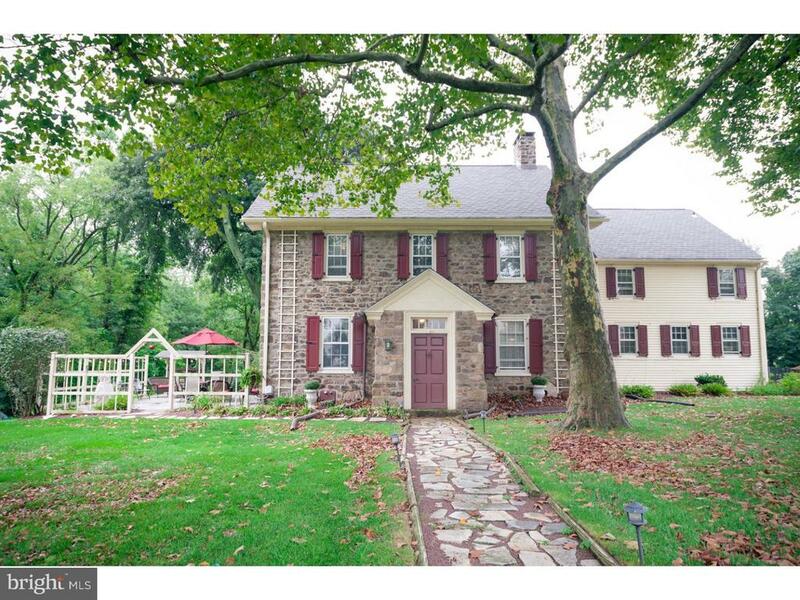 "1047 Kemper Dr in Warminster is a 4 bedroom, 2.5 bath lovingly maintained farmhouse built in 1780. Sitting on 1 acre there are several out buildings in addition to a two story carriage house that is a zoned in-law suite complete with 2 bedrooms, 1.5 baths, living room, large eat in kitchen, laundry area and patio. The main house entrance welcomes guests into a foyer/mud room featuring reproduction wide panel wood floors made for the time period. There is also access to a powder room. The kitchen shines with natural light showcasing its cherry shaker style cabinets with glass inserts, quartz counters, Mercer tile backsplash, stainless steel appliances (the range is brand new!) and cast iron farmhouse sink. The formal dining room features walk in fireplace, built ins, hardwood floors exposed beams and deep-set windows, all the charm you expect from the previous centuries.The large living room has it~s own exterior access, built-in shelving with storage cabinet, the craftsmanship of a showcase hand carved circa 1850 mantle framing the fireplace and a hidden staircase for quick access to the second floor. You also have two entrances to the screened porch here. The second level has 4 bedrooms, one is the master suite with master bath and stall shower. Walk down the hall with its beautiful wide planked hardwood floors to three additional bedrooms brimming with architectural detail and great light and hall bath with jetted tub. Off of one of the bedrooms, a pie staircase leads to a floored attic, great for storage or convert to a playroom. There is also a clean freshly painted basement. The carCirca 1894, the 1520 sf carriage house has been beautifully converted to a two level in-law suite featuring a very spacious living and dining room, glass door that opens to a private patio, full bath, laundry and eat-in kitchen. Upstairs are two bedrooms, each generously sized, with ample closet space and lighted ceiling fans and a second full bath. The patio takes in the long the v"
"Move into this meticulously maintained home in time for the family~s first summer barbecue/pool party. No need to go away on vacation. Book your staycation right here in this house with all the amenities and convenience right at your finger tips. The location is convenient to all shopping and major roads.The current owners installed many amazing upgrades including converting the garage into a 2 bedroom, modern in-law suite with its own separate entrance, ceramic flooring throughout,granite counters for the kitchen and bathroom. As you enter into the main house, your eyes will pop as you notice the wainscoting all along the stairwell and the hardwood flooring in the bi-level foyer. The additional wainscoting in the living room and formal dining room add a touch of elegance to this home.There are 4 bedrooms in the main house, but there is potential for 2 more if you include the room on the first floor that is situated just off of the great room and the separate room in the large, fully finished, carpeted basement. The basement also features a full bathroom, a laundry room equipped with a washer and dryer and a walkup bill door. In this home, there is potential for 8 bedrooms with adding the 6 rooms in the main house and the 2 rooms in the in-law suite.With all of these rooms, there is still ample space for your family and or overnight guests to move about. The great room is strategically positioned with access to the kitchen and the dining room. The spacious kitchen was remodeled with all granite counters, an island, a pantry,walnut cabinetry and ceramic tile flooring. From the kitchen there is access to the outside paver patio, a more than a quarter acre yard and a 10 foot pool. Also on the 1st floor is another laundry room with a washer & dryer. Heating and central air is zoned." "Owner just had some painting done. Come and see!. 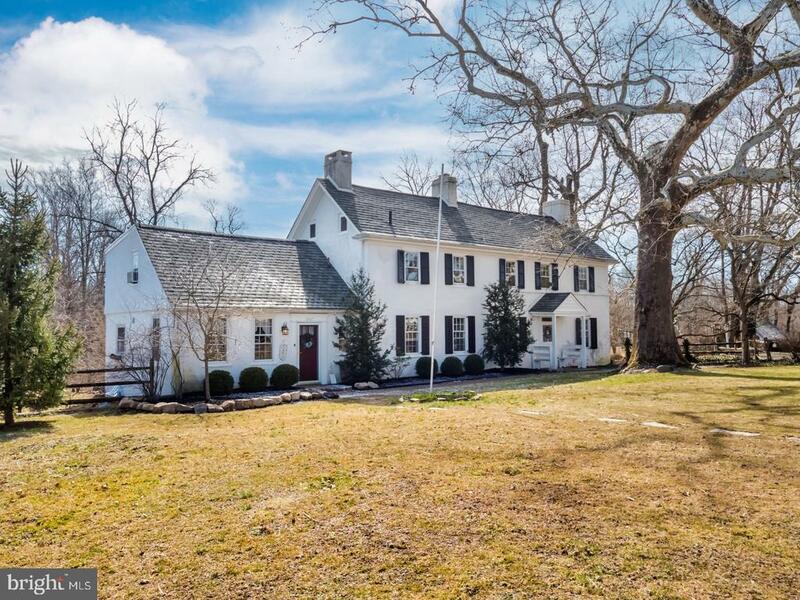 This original Ivy Hills Farmhouse is looking for an owner that appreciates history and a well built house. Do not miss out on this one of a kind opportunity. Well maintained 18th century Hart Stone Farmhouse gives you the best of both worlds, the perfect amount of history combined with all the modern amenities. The owners have been continually mindful of updating it yet still preserving the uniqueness of its origin. High ceilings, wide plank floors, dutch doors, enormous windows with deep-set windowsills throughout, vintage chandeliers, 3 fireplaces, 2 of them have wood burning stoves. Entire house has been re-pointed including the basement walls and the original Spring House. This glorious home is perfect for people that love to entertain. The expansive yard with fieldstone patio and wishing well will be where you spend your nights taking in the cool breeze. The large screened, open air Sunroom with patio below gives you more views of the park like grounds. Family will gather in the sizable gourmet kitchen with granite counter-tops, breakfast bar and stainless steel appliances, completed with a large eat-in area and back stairs to the second level. Plentiful living room with wood burning stove for those chilly Winter nights. The sophisticated dining room just went through a grand transformation. The first level powder room just completely remodeled. 5 bedrooms, each one of them unique in it's own right. Master suite with private bathroom and office/den. The third floor is like having your own apartment with a bedroom, a living room area, and a bonus room. Has it's own full bath as well. Would be ideal for any teen age boy or girl, au-pair, or out of town guests that are staying awhile! Newer roof, updated electric, newer oil tank, newer gutters, paver pathway to side door and painting just finished in various rooms. Need a good workshop to putter around in? This home has that too. Nearby Parks and shopping t"
"The debris was flying in all directions during the renovation of this spacious colonial home. The number of dumpsters utilized is not available, but the outcome is fabulous. Over 2,000 square feet of living space was measured, adjusted, modified and replaced to create the home that you have been searching for. This is not a cookie-cutter presentation. This is a quality renovation with stylish choices that will not be found just anywhere. The living room is first with enough room for couches, chairs, lounges, throws - whatever you desire to create a comfortable and inviting first look as you cross the thresh hold. The dining room is capable of accommodating multiple seating arrangements for both casual and formal dining and is nearly matched in size to the living room. The kitchen has all of the things that you expect in order to create your dining masterpieces, but the family room was designed to capture attention with the gleaming new floors. One of the most practical uses of a portion of the main level is the layout of a cozy bedroom and bathroom. If there are choices to be made, there will likely be competition for this space. The upstairs offers a master bedroom, bathroom and walk-in closet, three additional bedrooms and a spacious hall bathroom. Cavernous is not actually a word that can be used to describe the basement, but, there may be some surprise at just how large it appears. It has its own full bathroom. (Can anyone say sleepover?) A portion of the garage was used to create a laundry space, but there is still enough room left over to store a small car or motorcycle. The deck was built from scratch and is the centerpiece of an attractive yard that was recently seeded and there is a shed for storage needs. Some of the other newly installed amenities include the roof, siding, downspouts, gutters and windows, which can contribute to many years of worry free living. Make your appointment soon. You are going to like living here!" "End Unit home!!! 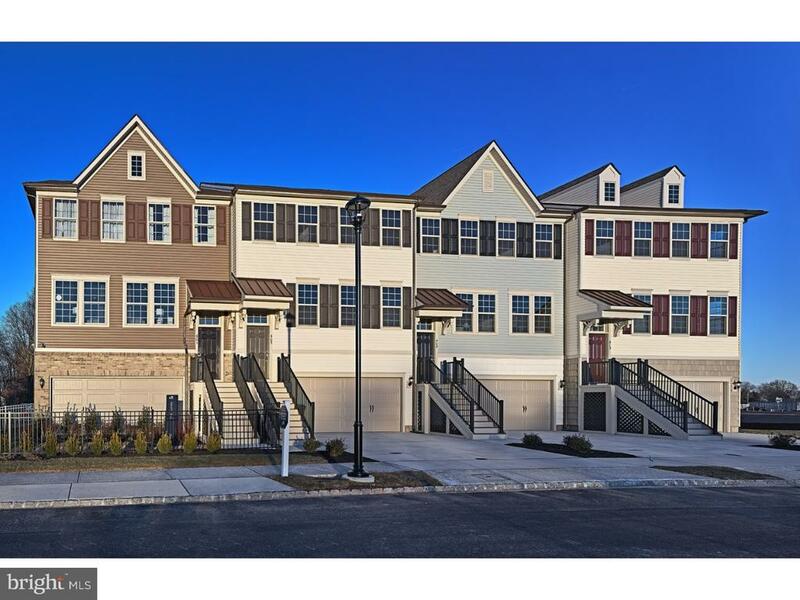 Welcome to Tall Oaks, the newest and best priced townhouses over 2,300 square feet, located in desirable Warminster, PA! . Just some of the inclusions in this end unit are: finished first level with additional powder room, 2-car garage with extra storage space, 5 hardwood flooring on the entire second floor, Espresso kitchen cabinets and stainless steel appliances, granite in the kitchen and the full baths, ceramic tile in all the bathrooms and owner's entrance on the first floor and smart home technology! For more information visit our website at pultecom/talloaks Pictures shown are not of actual home and are for representation purposes. Our sales office is now open every day of the week from 10AM - 6PM. Appointments are highly encouraged." "Get Ready to Fall in Love with this Stunning ~LESS than 1 Year Old~ END UNIT 3 BR, 2 Full and 2 Half Bath Townhome on a Premium Lot n Sought After Tall Oaks. The Current Owners have Tastefully Decorated and Lovingly Upgraded this Beautiful Home and are Sad to Say Goodbye due to a Job Opportunity! Before You Even Walk through the Door You will Notice the Two Car Garage and Pristine Stone & Vinyl Exterior. And, You Won~t Believe your Good Fortune when you Realize that a Lovely Gazebo and Fun Tot Lot are Right Across the Street from Your New Home. Once Inside, the Main Living Level is Open, Airy & Ideal for Entertaining. 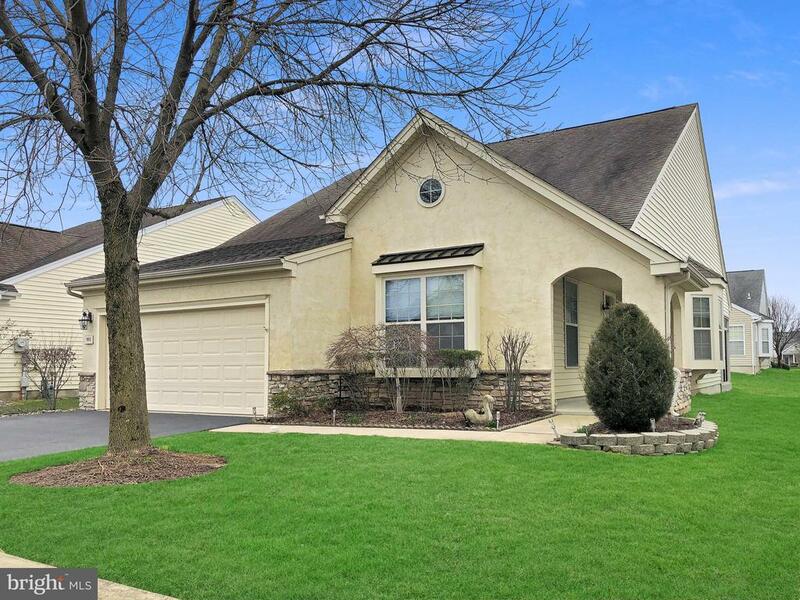 Upgraded Wood Floors Traverse the Spacious LR, DR and ~To Die For~ Gourmet Kitchen. An Array of Windows Welcome Natural Sunlight to the Entire Level and Plenty of Recessed Lighting Provides Ambiance when Night Falls. The Eat in Kitchen is the Heart of the Home with It~s Massive Granite Topped Island Providing the Perfect Place for Guests to Gather. An Abundance of Striking Cabinets, Glass tile Backsplash, Farmhouse Sink and SS Appliance Package will Make Cooking a Joy. A Passage Door Opens to a 10 X 20 Elevated Deck Ready for the Warm Months Ahead. A Convenient Powder Room is Also Present. Upstairs are 3 Nicely Sized BR~s all with Neutral Carpet and Generous Closets. The Owner~s Suite is just what You Deserve with It~s Large WIC and Luxurious Private Bath with Gorgeous Tile Shower and Full Wall Twin Sinks and Make up Vanity. A Great Hall Bath and Laundry Area (Washer & Dryer Included) Round out the Second Floor. As an Added Bonus the Lower Level is Professionally Finished and Boasts a Cozy Corner Fireplace as it~s Focal Point. You will also Appreciate the Upgraded Wireless Entertainment System Featuring Surround Sound Installed in the Ceiling, an Additional Half Bath and Exit Door to Your Back Yard. One Look at the Immaculate Home and A+ Community and You will Know that You Have Found Your Perfect Match!" "End Unit home!!! 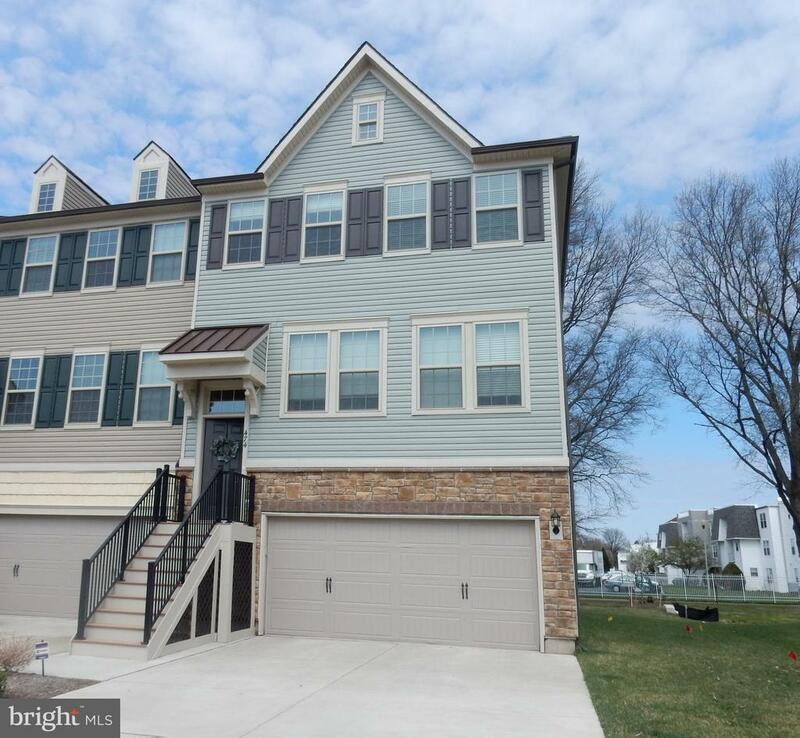 Welcome to Tall Oaks, the newest and best priced townhouses over 2,300 square feet, located in desirable Warminster, PA! . Just some of the inclusions in this end unit are: finished first level with additional powder room, 2-car garage with extra storage space, 3 1/4 hardwood flooring on the entire second floor, White kitchen cabinets and stainless steel appliances, granite in the kitchen and the full baths, ceramic tile in all the bathrooms and owner's entrance on the first floor and smart home technology! For more information visit our website at pultecom/talloaks Pictures shown are not of actual home and are for representation purposes. Our sales office is now open every day of the week from 10AM - 6PM. Appointments are highly encouraged." 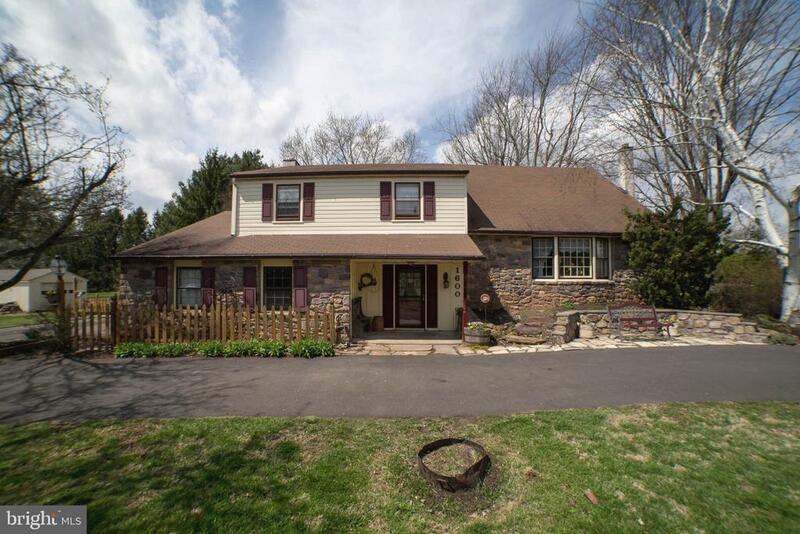 "4 bedrom single family home in Northampton township, Council Rock schools. Set down a quiet road and on almost a 1/2 acre lot sits this well maintained home with great features both inside and out. Hardwood floors throughout, spacious living & dining rooms seperated with unique glass french doors and a cozy family room right off the kitchen. The kitchen features new stainless steel appliances, plenty of counter space and large eat in area. Upstairs is a remodeled full hall bath with custom tiles on the floor and in the shower. The master bedroom has 2 closets and is open & bright. The master bath has been remodeled also and has a walk in shower with beautiful tile work done. There are 2 hall linen closets for storage and 3 other bedrooms to finish off the upstairs. Outside you'll find a covered porch, great for relaxing and entertaining. The large flat back yard features a shed and an in ground pool. There will be plenty of time spent out back here at this great home! It is truely a move in home, in great condition, neutral color palette, and so many new upgrades. In 2018 new central air and heating system installed. A new hot water heater. New roof. Upgraded electrical system. All have warranties! The home also was hooked up to Public sewers. 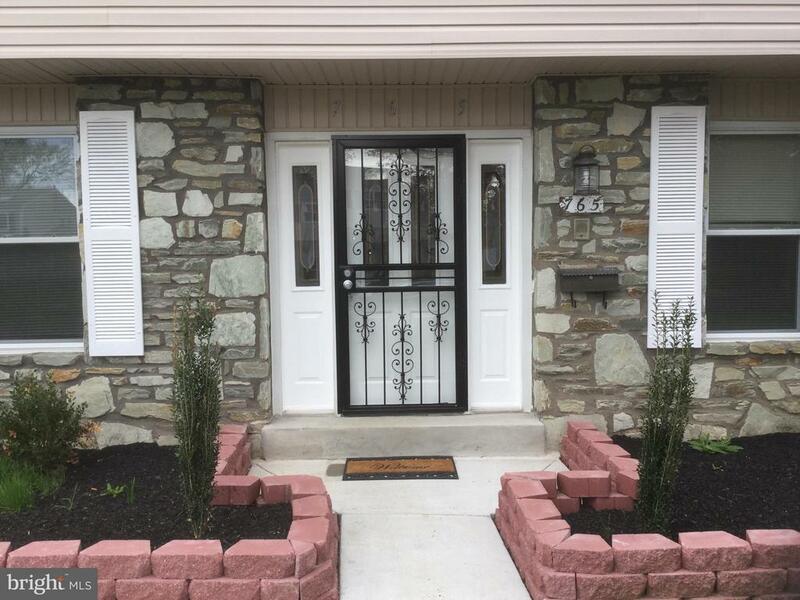 There is nothing more to do with this home but move in and start creating you own memories here at 90 Macfarland Avenue!" "IVYLAND BOROUGH~ NEW PRICING FOR QUICK SETTLEMENT. Imagine the original mid-century home and life style when the country store, playground, and Boro hall was just a block away. It~s still here, the village of Ivyland (now on the National Historic Register) is steeped in traditions such as holiday parades, fire-hall pancake breakfasts, and more. This totally updated re-build is not your parent's generation 4 bedroom, 2 and 1/2 bath home. This is an updated, lovingly cared-for home with many extras. Includes a family room with a propane fireplace that is not only open to the eat-in kitchen, but also opens to a multi-level patio and level, rear yard, embraced by perimeter fencing. A private first-floor office, in addition to the dining room, living room and powder room complete the footprint outlined by the wrap-around front porch. Newer features include carpet, hardwoods, storm doors with built-in screens, fencing, expanded driveway with a custom designed apron for optimal curb appeal, hardscaping, and multi-level decking. On the second level, you will find a master suite that can only be described as an oasis with an abundance of space that has proven to be perfect for a private lounge area and/or the use of exercise equipment. Let your imagination run wild in this spacious master 23' x 36' area, including walk - through closet and en suite. With a bit of ingenuity, this space could also be an in-law suite. On the second level are 3 additional bedrooms that feature deep window seats and closets designed by Closet Works, a full bath and a second-floor laundry complete this level. GOTKIDS?? The community sports teams practice and play within biking distance! 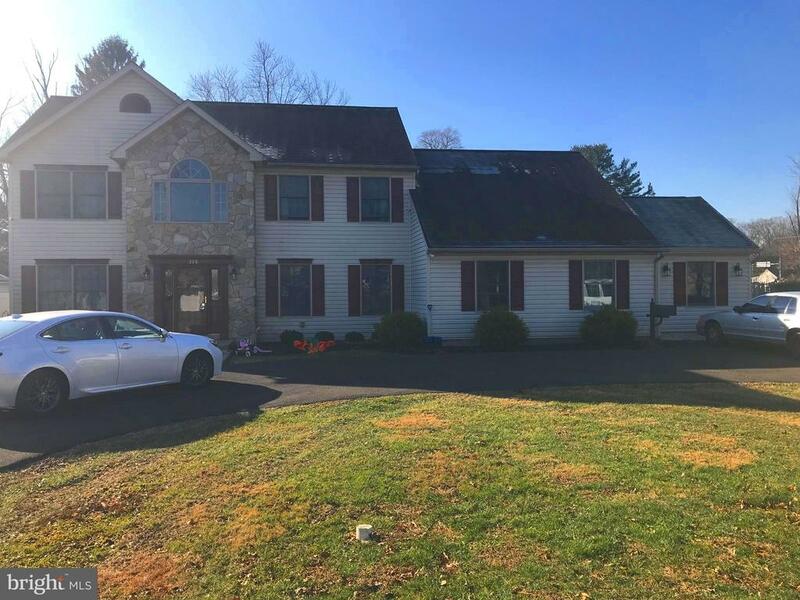 This home is close to all major corridors such as the PA turnpike, routes 263, 611 and a route 95. When you are thinking of location, convenience, walkabilty and life-style choices, do not miss this one. Make an appointment to SEE MORE today. OPEN HOUSE, April 14th, 1 -3 p.m."
"This is the one you have been waiting for! 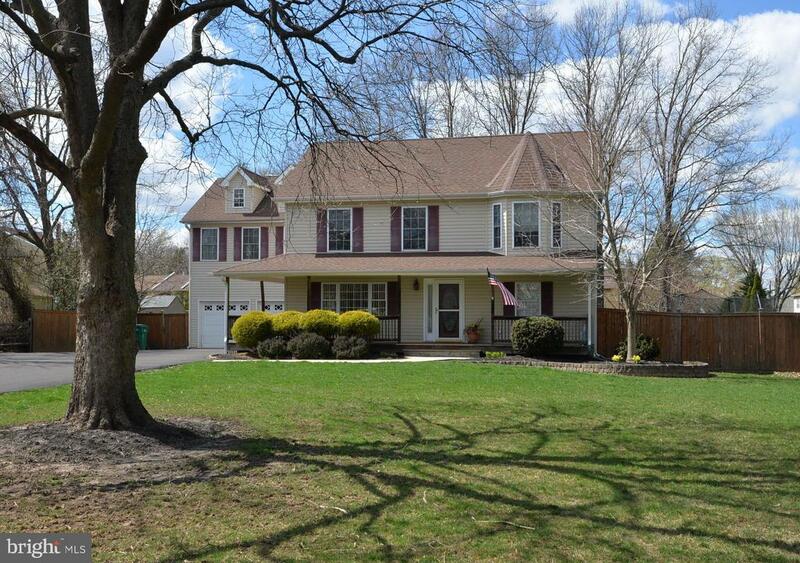 Don't miss this pristine and move in ready spacious center hall colonial on a large corner lot. 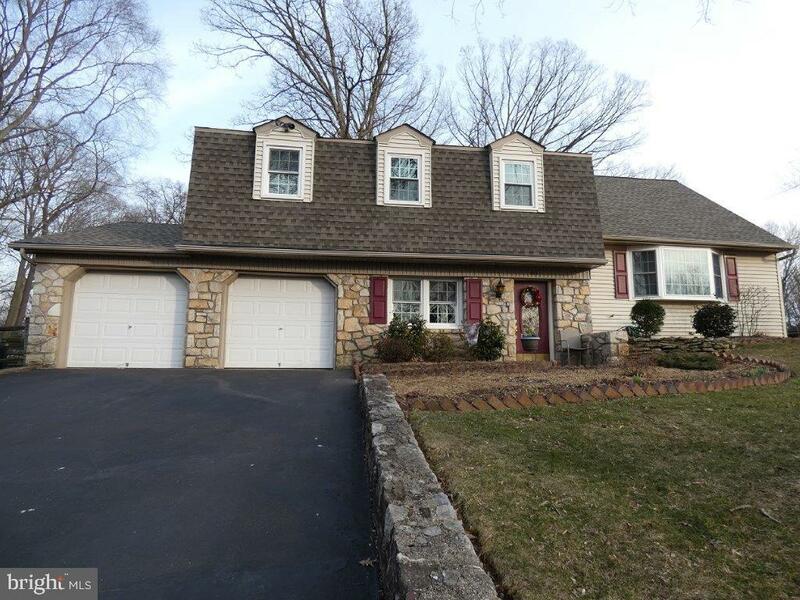 This lovely 4 bedroom 2 ~ bath home with finished basement will be you dream home. 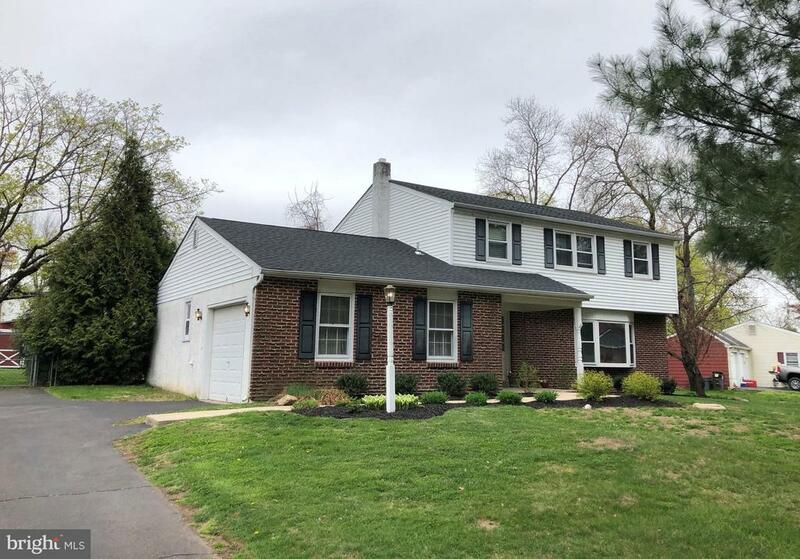 The home is located in the desirable Glenview Park Section of Warminster and has been tastefully updated with modern gray tones and high-end finishes. The home features large rooms and plenty of windows that wash the home with natural light. Approach the home from the oversized driveway and down a winding path to the covered porch the perfect place for a morning coffee or evening cocktail. Enter the front door into the center hall that has brand new tiled floors that extend into the kitchen. To the left find a large inviting living room with bay window. Continue to the back and you will be blown away by the bright clean crisp kitchen with 42~ white cabinets with soft close drawers, designer titled backsplash, granite counter tops, new stainless steel appliances including 5 burner gas stove. There is a bar counter top that opens into a large great room with sliders to the large fenced in yard. Just off the great room there is a large powder room and separate laundry. Upstairs you will find three large bedrooms with plenty of closet space and a hall bath with modern tile and vanity. The large master suite has plenty of space and a walk in closet. A barn door slider opens to a stunning master bath with new vanity, makeup area, fresh title and new shower. The entire home has been freshly painted and the hardwood floors have been refinished throughout. There is large finished basement with fresh paint and flooring and an extra storage room. The home features a large two car garage with storage loft and electric opener. As a bonus the home also features an emergency whole house propane backup generator that kicks in if power is ever lost. Don't forget the low annual taxes add to this homes affordability. This is a must see!" "Location, Location, Location! 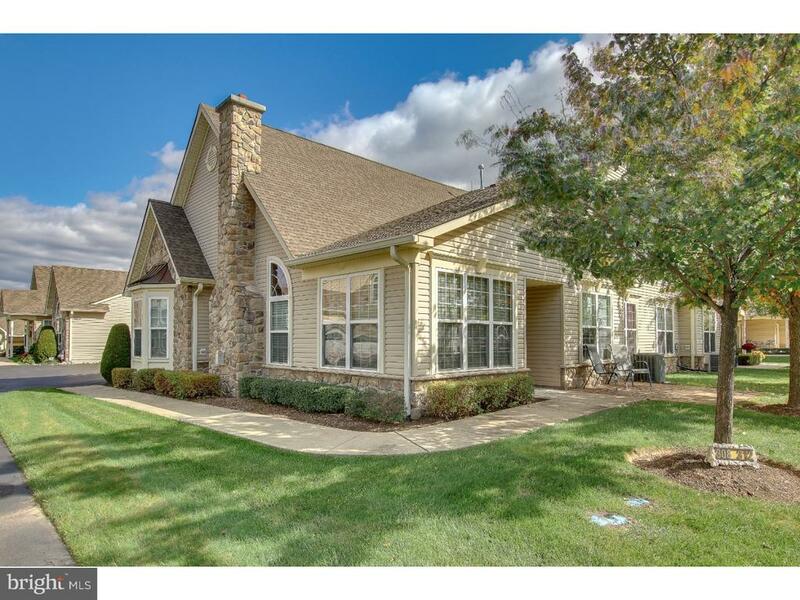 Situated directly across the street from the clubhouse, this beautiful and wonderfully maintained home in the highly desirable 55+ community of The Villas at Five Ponds has it all! Find gleaming hardwood flooring throughout most of the first floor. From the Foyer enter the Family Room or the light-filled Living Room with vaulted ceiling, recessed lighting & gas fireplace flanked by windows on each side. There is an Office/Den directly off of the Living Room. Right off the Living Room is the Dining Room and from there enter the nice sized Eat-in Kitchen featuring Corian counter-tops, upgraded 42 cabinets with undermount lighting, ceramic backsplash, double sinks & pantry. The Master Bedroom features a tray ceiling, custom ceiling fan, bay window area, large walk-in closet & additional nice-sized wall closet. The Master Bath has a Jacuzzi tub, stall shower & double sinks. The 2nd Bedroom, additional full hall bath & large Laundry Room with storage closet and access to the 2 Car Garage with additional storage closet are also conveniently located in the main level. Upstairs find a 3rd Bedroom with ceiling fan, full bath with shower with large closet & a spacious finished storage room. Enjoy the many amenities the community has to offer, directly across the street, which offers a state of the art fitness center, indoor & outdoor pools, ballroom, library, game room, tennis & basketball courts, walking trails. And carefree living with lawn care & snow removal taken care of for you. Show & Sell this wonderful home!" "JUST LISTED and Move-In condition. This Rosewell Model is located in the highly sought out 55 Plus Community, The Villas at Five Ponds. Light, Bright and in Pristine Condition, all you need to do is bring your furniture and you can be living in this wonderfully maintained property. This home welcomes you with its Expansive Windows that allow the sun to shine brightly in every room of the house. Beginning in the Foyer you will appreciate the great design that The Rosewell offers where the OPEN FLOOR PLAN shows off its great space including the nicely sized Den and the Large Living Room which boasts Vaulted Ceilings, Designer Carpets and Beautiful Windows. From the Living Room you will see Exquisite FRENCH DOORS which lead into the Fabulous SUN ROOM. Adjoining the Living Room is the Dining Room with its Designer Fixture and a Fabulous Kitchen. This Eat-In GOURMET Kitchen includes GRANITE COUNTERS, Tile Back Splash, MARBLE Tile Floors and 42 Cabinets that include an abundance of storage space, a Spice Drawer and cabinets with pull-out drawers as well as a separate Large Pantry Closet. You can see why this home is perfect for entertaining family and friends and yet just right for everyday living. A Wonderful Master Bedroom with its Tray Ceiling is a welcome retreat along with the stunning Master Bath and its Large Tiled Shower and Jacuzzi Soaking Tub. Closets are plentiful in this room as you will get a double closet as well as a large Walk-In Closet. The well-sized Guest Room and 2nd Full Bathroom are also located on the main level and perfect for your guests to enjoy their own private space. Completing the main level is a Large Laundry Room with Built-In Cabinetry, a Tall Shelving Unit and a Closet. From this room, you may either enter the Over-Sized 2 Car Garage with extra Storage Room or enter the door to the Upstairs LOFT. The Loft can be used as a 3rd Bedroom, Office or Multi-Purpose Room and is enhanced by the 3rd FULL BATHROOM. Recessed Lighting, Ceiling"
"Experience the best of carefree living in the highly sought resort community of Heritage Creek Estates. This well appointed Jefferson model is truly turn-key and sure to impress from the moment you enter - boasting sun-soaked rooms, an open floor plan, 9 foot ceilings, gas fireplace, formal living room with cathedral ceiling, gleaming hardwood flooring throughout the foyer, kitchen, breakfast room, family room hallway and master bedroom as well as a bonus enclosed rear porch. A neutral and pleasant color pallet creates an easy transition for any buyers decor. The kitchen offers 42 inch cabinets, tiled backsplash, ample counter space and a breakfast bar. The master bedroom is complete with a walk in closet and large updated private 4 piece bath featuring granite sink top, shower stall and new walk in jetted soaking tub where you will surely want to relax at the end of the day. All of this within a Premier Adult Community that includes access to the Marquis Club and Spa with an abundance of amenities such as a large clubhouse with catering kitchen, indoor and outdoor pools, fitness rooms, library, ballroom, shuffleboard, tennis courts, Bocce courts and so much more. For a true lifestyle change, make this home yours today!" "Beautiful split-level home which is tastefully updated and features many upgrades. This home features 4 large bedrooms, 3-1/2 baths, hardwood floors in living room, dining room, and 2nd floor bedrooms. The inviting modern kitchen is graced with Silestone counter tops and a tile back splash with the island doubling as an extra eating area. The kitchen has plenty of cabinet space and easy to clean laminate flooring. Both the spacious living room and dining room have custom oak trim and the dining room also has oak chair railing. Both dining room and living room welcome lots of plants with box-bay windows. The large master bedroom has newer hardwood flooring, lots of closet space, and it's master bathroom features a tiled floor and shower tiled to the ceiling. One front bedroom features exposed hardwood flooring and a large walk-in closet. The largest bedroom (4) is carpeted and is at the highest level featuring a private full bath with a sunken tub. There is plenty of storage off this bedroom and access to a walk-up attic. There's also plenty of storage in the basement, two garages and an additional walk-up attic over the garage. For summer fun, swim in the large, inviting, in-ground, heated pool and picnic in the spacious covered patio with a custom brick fireplace or on the large 2-level deck. Close to shopping, highways, entertainment, and just walking distance to the township library. This is a beautiful home to cherish and enjoy just as the current owners have done. NOTE: Sellers offering a 1-year home warranty that also covers the pool."